All nodes that are to perform an Action or check a Condition can be assigned an Action or Condition collectively known as Tasks. 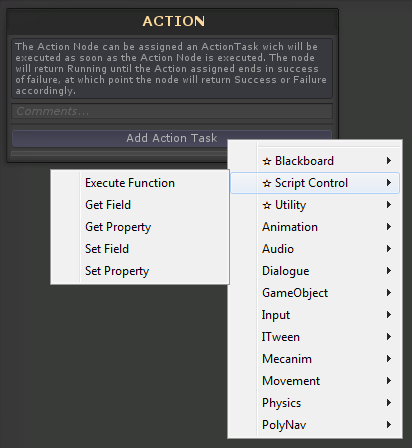 If a node is task assignable, the relevant button will show in it’s inspector. 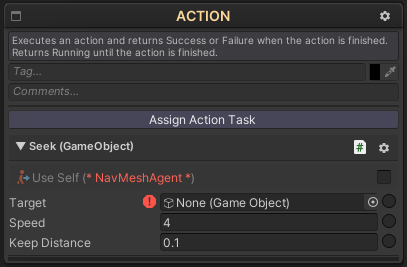 When that is done, the node inspector panel will now show that assigned action or condition inspector as well, bellow any other node relevant inspector controls that the node in question may have.